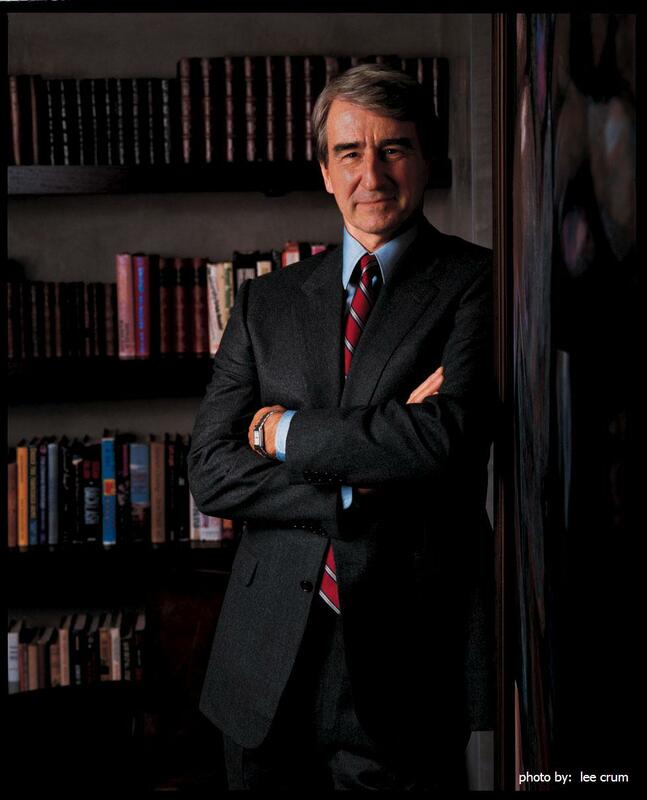 Sam Waterston is an acclaimed American actor noted particularly for his portrayal of Executive Assistant District Attorney John "Jack" McCoy on the long-running NBC television series Law & Order. His roles with The Public Theater (formerly the New York Shakespeare Festival) have included Hamlet, Laertes, Prospero, Leonato, Prince Hal, Silvius in As You Like It, Cloten in Cymbeline, and Benedick in Much Ado About Nothing, for which he won a Drama Desk Award and an Obie Award. A filmed version of that production was also broadcast on the CBS television network. His first film was Fitzwilly in 1967. Other films include The Great Gatsby, Rancho Deluxe, Journey Into Fear, Capricorn One, Heaven's Gate, Hopscotch, The Killing Fields (nominated for the Academy Award for Best Actor), Interiors, Hannah and Her Sisters, Crimes and Misdemeanors, Mindwalk, and Serial Mom. Besides his role in Law & Order, he has played other television roles including D.A. Forrest Bedford in I'll Fly Away. An independent radio documentary producer, Richard Paul is the founder and principal of rlpaulproductions. His documentary We Were on Duty was voted Best Radio Documentary by the Society of Professional Journalists; it also received the Sigma Delta Chi Award for Excellence in Journalism. Trapped on the Wrong Side of History, which he produced for Soundprint, was voted Best Documentary by the Asian American Journalists Association. His documentary Washington Goes to the Moon won the Bronze Medal for International Radio Programming at the 2000 New York Festivals International Competition. Paul has also produced and written numerous stories for Studio 360, Weekend America, and NPR’s Morning Edition. He is the most licensed producer on the Public Radio Exchange. Before starting rlpaulproductions, Paul spent thirteen years at WAMU-FM in Washington, DC. He produced special projects as well as Metro Connection, The Diane Rehm Show, and Good Dirt. Prior to joining WAMU, he was national affairs press secretary for Senator Frank Murkowski of Alaska and press secretary for the Senate Subcommittee on Children, Families, Drugs, and Alcohol. Paul has been a member of the Capitol Steps, a political satire troupe that specializes in light-hearted musical commentary on current affairs, since 1985. He is a 1981 graduate of American University. He traces his interest in performance to a high school production of The Boys from Syracuse, a musical based on Shakespeare’s The Comedy of Errors... and just one more manifestation of Shakespeare in American life! Lenny Williams is an accomplished musician and composer who has composed original music for more than 500 documentary films, winning Emmy Awards in 2001, 2002, 2004, and 2005 for Outstanding Achievement in a Craft: Music and Sound. Since 1995 he has worked extensively with National Geographic Television and Film, the Discovery Channel, Court TV, WNET, CNN, TLC, PBS, Animal Planet, and others. He has also won four BMI awards and contributed music to two Grammy-award winning recordings. Williams graduated from the Peabody Conservatory of Music in 1983 with a degree in music composition. After school, he worked in the Washington, DC, area as a jazz pianist and accompanist. He eventually became a regular performer at the Kennedy Center for the Performing Arts, playing with the National Symphony Orchestra and the Kennedy Center Opera Orchestra and for productions of nationally touring musicals. From 1993 to the present he has been a full-time pianist with the Capitol Steps political satire group, performing nearly a thousand shows throughout the United States. From 1988 to 1996 he was the pianist for the late Eva Cassidy, whose posthumous recordings have sold more than five million copies world wide. As a member of the Eva Cassidy Band, he has been awarded Gold and Platinum records in many countries including the UK, United States, and Australia. Williams has performed with many other notable musicians, including Smokey Robinson, Anita Baker, Paul Shaffer and the Late Night Band, Gloria Estefan, ‘N Sync, Cy Coleman, Stephanie Mills, and Chuck Brown.